America’s most famous architect, Frank Lloyd Wright, designed Fallingwater for his clients, the Kaufmann family. It instantly became famous, and today it is a National Historic Landmark. 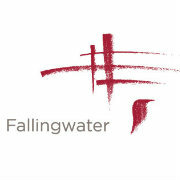 The Western Pennsylvania Conservancy is entrusted to preserve Fallingwater for generations to come. The Western Pennsylvania Conservancy believes that Fallingwater is more than the sum of its parts: the architect, the client, the architecture, the art, the land and the period. It is the inspired coming together of these parts that makes Fallingwater a great work worthy of preservation.